This wrapping paper is so sweet! 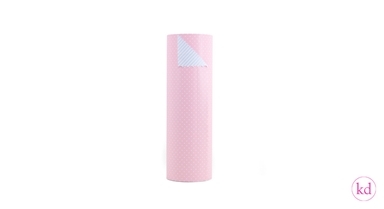 The front has a nice pink pattern with dots and the backside has blue white stripes on it. You can use this wrapping paper for boys and girls. How nice is that! 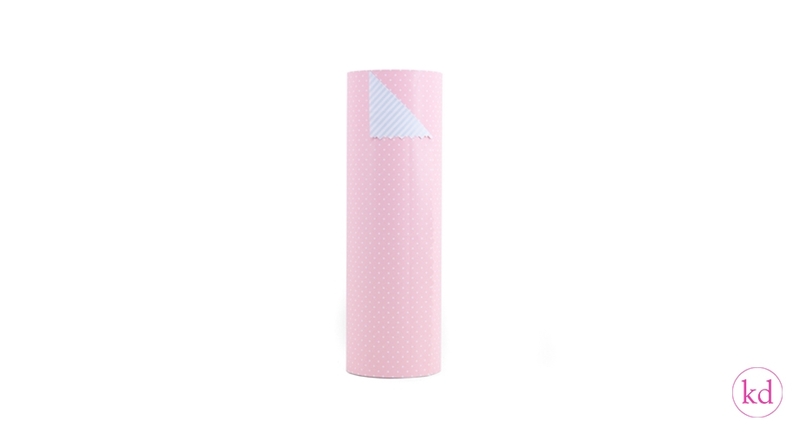 Give the little ones there first lovely meeting with your products by using this sweet wrapping paper.